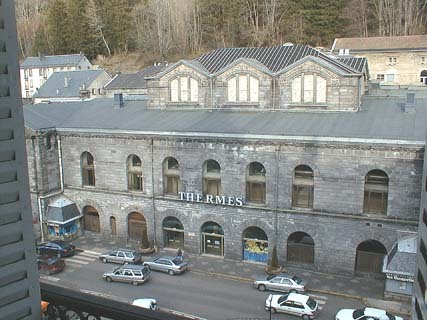 Rents in " Périgord Noir "
Place of Thermes - Residence of " Le Sarciron "
- Thermals bath and cure ( the Building in the front of th bed-siiting-room ). 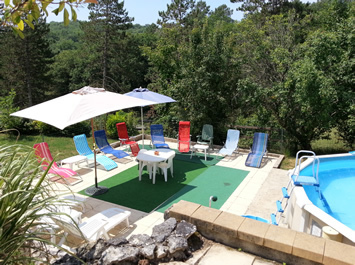 - Skiing Domaine of " Puy-de-Sancy "
- Commercial centers, Booling, Dancing, Skating-rink, Swimming-pool ( 150 m ). - kitchen "kitchinette", sink, electric grill , 4 cooking plates , refrigerator. For all the during of a "cure" : 3 Weeks.